Tired of resorting to the classic combo of dinner and a movie for your date nights? If you and your S/O are stuck in a rut and struggling for ideas to make your summer together one for the books, try out some of our favorite date night activities! Not to worry, you don’t need a sweetheart to enjoy these summer-exclusive happenings. Bring along your family, BFF or treat yourself to a solo night out to one of these picks. There’s something absolutely picturesque about a sunset paired with a giant inflatable movie screen, picnic blankets and dinner made fresh on a food truck. Pairing all of these amazing things together gives you Street Food Cinema, a summertime outdoor movie series that takes place on Saturday nights at various parks in the LA area. This summer’s schedule features movies like “The Sandlot,” “The Princess Bride,” “Black Panther,” “Mamma Mia!” and many, many more. Laugh, cry and cuddle under the stars at Street Food Cinema this summer! You probably know The Broad as the museum that’s home of Insta-worthy art pieces like the Infinity Mirror Room and Under the Table, but were you aware that they also host a summer series that allows after-hours access into the museum featuring live performances among the art? Immerse yourself in an evening full of art and creativity on the last Saturday of each month this summer by purchasing tickets for one (or all, for a series pass discount) of the Happenings here. If you or your boo are more inclined toward outdoor activities, The Natural History Museum’s Summer Nights in the Garden series is the celebration for you! Live music will accompany you as you wander hand-in-hand through the backyard of the museum, watch artist demonstrations and enjoy bites from various food trucks. Oh, and did we mention that this event is free? RSVP for the event (June 29, July 13 & 27 or Aug 10) here. 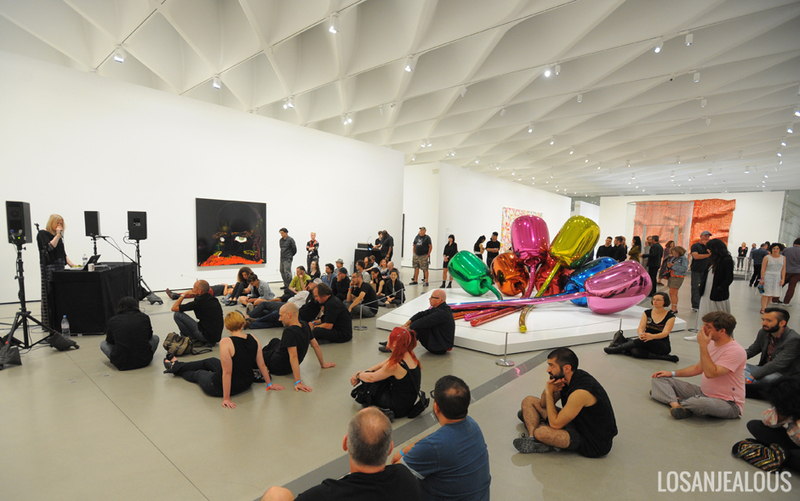 If your Friday night is feeling dull, jazz it up at LACMA this summer for their Jazz at LACMA series! With the backdrop of the iconic Urban Light behind them, local jazz artists play their heart out for museum guests like you. These concerts are free and open to the public, and no museum admission tickets are required. You can view the lineup of musicians here. Which date night idea is going on your summer agenda? Let us know by using the hashtag #CampusCropChat on Facebook, Twitter and Instagram. Don’t forget to follow us on Snapchat @asicpp!